On the most fundamental level, tryptophan is an essential amino acid required to make many different proteins in the body. 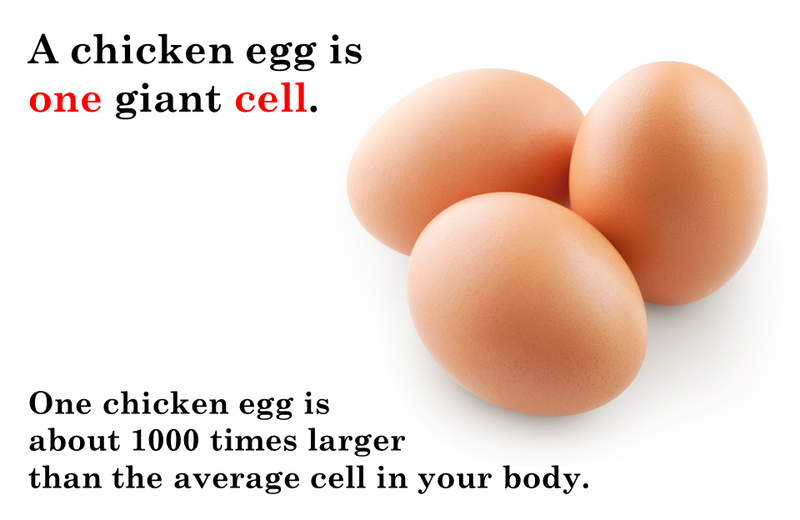 Our bodies can’t produce tryptophan, so we have to get it from the foods we eat. 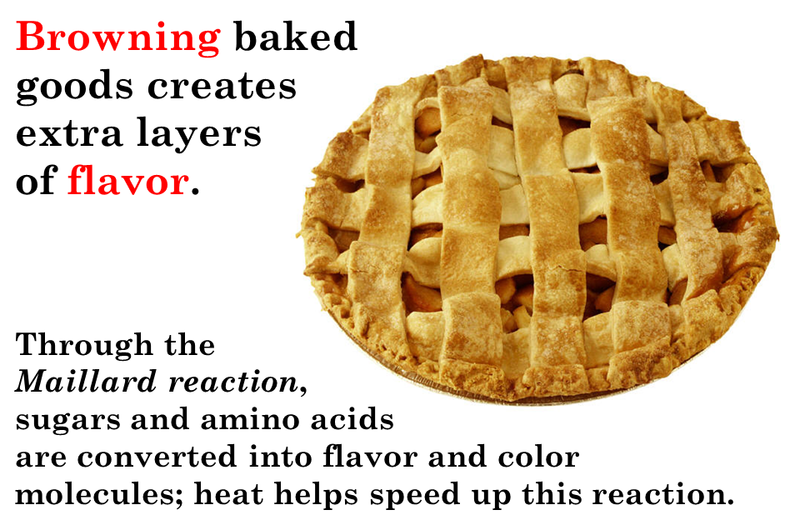 Considering amino acids are used to make proteins, we get them by consuming other proteins such as meats, poultry, eggs, dairy, rice, and beans. Chemically, tryptophan is the same whether it’s in a test tube or in our bloodstream, meaning there’s really nothing special about the tryptophan found in turkey versus other protein sources, like chicken. 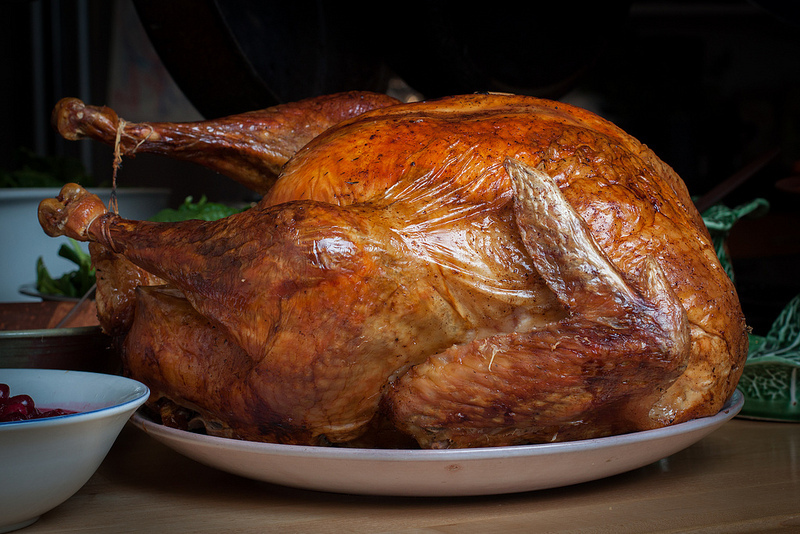 Turkey actually contains less tryptophan per gram than chicken, and half as much as in soybeans , but would anyone ever blame a tryptophan-induced food coma on a Thanksgiving chicken or tofurkey? 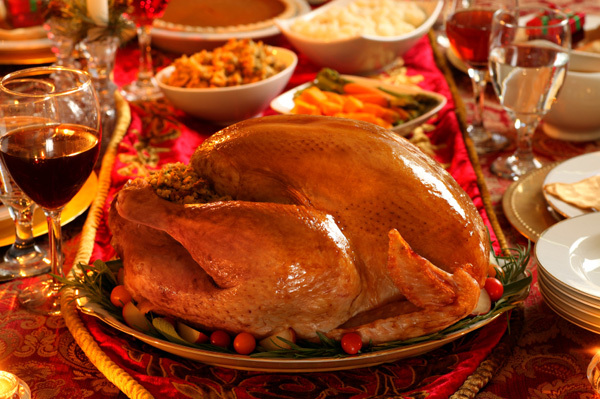 Tryptophan can directly cause drowsiness—if taken in pill form on an empty stomach . Before tryptophan can be converted to serotonin, it must first cross the blood-brain barrier to enter the brain. This would be simple enough if tryptophan was the only amino acid capable of crossing the blood-brain barrier. However, after a meal―especially a high-protein meal like a turkey dinner―there will be many different amino acids floating around the bloodstream, many of which can also enter the brain. 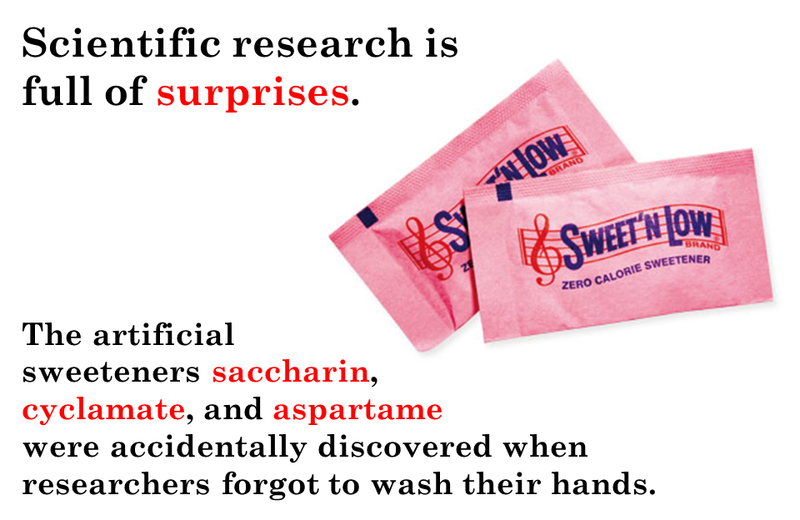 Despite this barrage at the gates, the brain can only take up a limited amount of amino acids. As tryptophan makes up only a small fraction of all the amino acids we consume, the other amino acids directly compete with tryptophan to cross the blood-brain barrier, ultimately decreasing tryptophan’s chances of entering the brain. Even if you stuffed yourself on nothing but tofurkey, only small amounts of tryptophan would ever enter the brain to make you sleepy. The culprits behind the Thanksgiving dinner food coma are thus largely the high-carbohydrate dishes (and alcoholic beverages) surrounding the turkey: potatoes, yams, pies, bread, and stuffing. 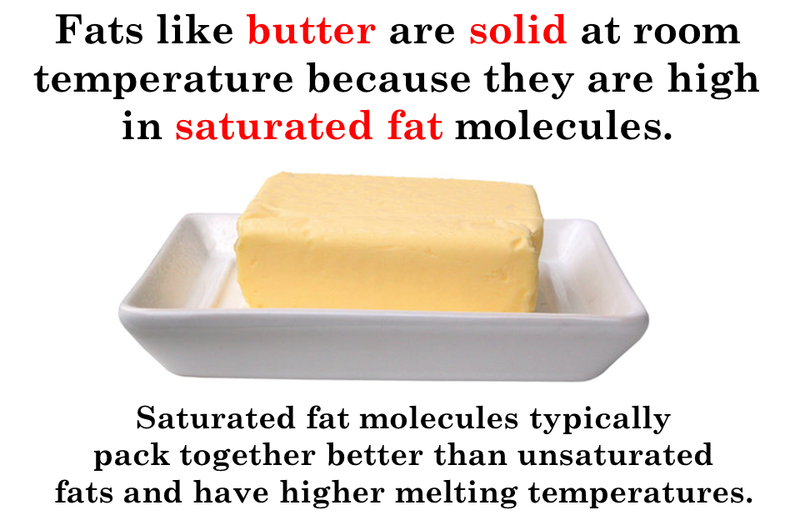 Eating carbohydrate-rich meals stimulates the production and release of insulin into the bloodstream . Insulin then signals the uptake of amino acids into the muscles. Unlike most amino acids, tryptophan has a rather large and bulky structure that prevents it from entering muscles, so it is left behind in the bloodstream. With fewer of the other amino acids in the blood, tryptophan has less competition and is more likely to cross the blood-brain barrier, where it can be converted into serotonin and melatonin, the brain chemicals attributed to happiness and sleepiness . At this point you might be thinking, “So turkey does make you sleepy! It just needs help from carbs!” Yes, but on that level, Thanksgiving dinner wouldn’t be any different from, say, a bacon and biscuits binge, or any other high-protein, high-carb meal. And some of you might still adamantly insist, “I even eat turkey outside of Thanksgiving, and I still get super sleepy! It must be the turkey!” But remember: the sugar pill works for a reason. Never underestimate the power of the mind. Still, don’t let any of this stop you from enjoying this holiday and stuffing your face to your heart’s content. Foods Highest in Tryptophan. Nutrition Data. Hartmann E (1982). “Effects of L-tryptophan on sleepiness and on sleep”. Journal of Psychiatric Research 17 (2): 107–13. Wurtman RJ, Wurtman JJ, Regan MM, McDermott JM, Tsay RH, Breu JJ (2003). “Effects of normal meals rich in carbohydrates or proteins on plasma tryptophan and tyrosine ratios”. Am. J. Clin. Nutr. 77 (1): 128–32. Lyons PM, Truswell AS (1988). 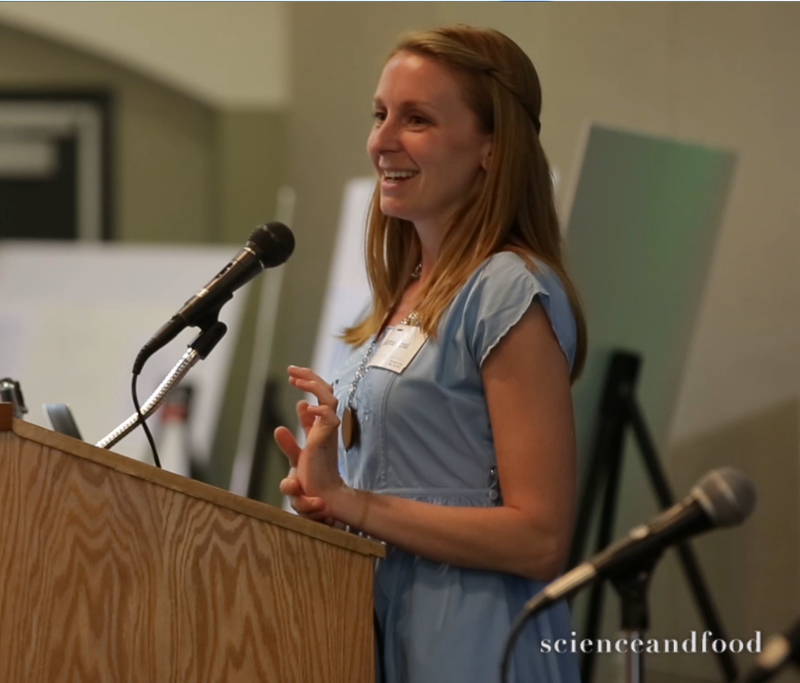 “Serotonin precursor influenced by type of carbohydrate meal in healthy adults”. Am. J. Clin. Nutr. 47 (3): 433–9. How would you describe your perfect chocolate chip cookie? Thin and chewy? Ultra-crispy? Thick and cakey? 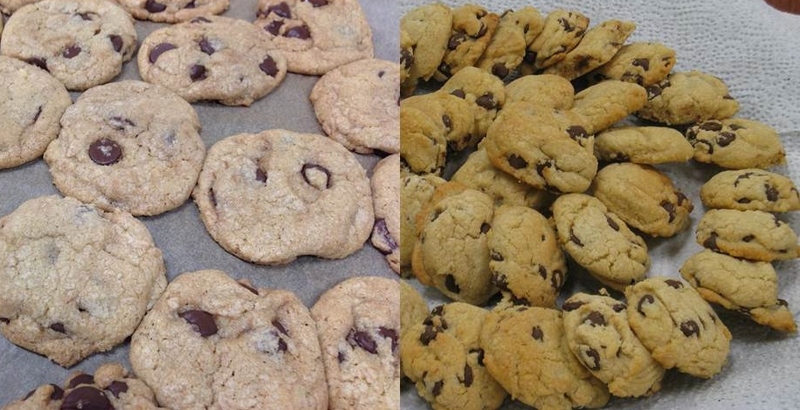 Whatever your preference, knowing how to manipulate the ingredients in a basic cookie recipe is the first step toward chocolate chip cookie bliss. 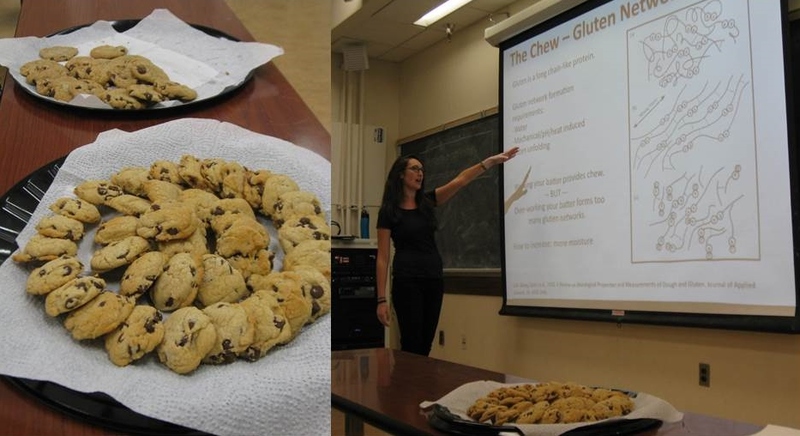 At last week’s “Science of Cookies” student event, graduate student Kendra Nyberg showed us how to achieve two very different cookie textures by riffing off of the classic Toll House chocolate chip cookie recipe. These cookies are all about moisture. 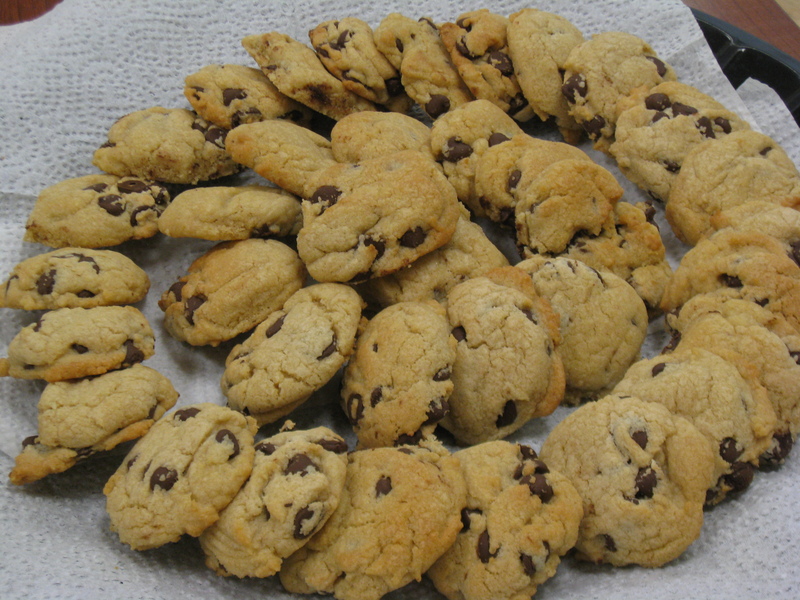 A wetter cookie dough spreads more during baking, creating a much thinner cookie. Extra moisture also promotes gluten development in the cookie dough, creating a slightly denser, chewier cookie. This recipe from Smitten Kitchen maximizes moisture content by using melted butter, less flour, less egg white (which can dry out cookies), and a higher brown-to-white sugar ratio (brown sugar can help retain moisture) than the classic Toll House Recipe. Where the previous cookies craved moisture, this recipe from My Baking Addiction removes extra moisture to create thicker, less chewy cookies. 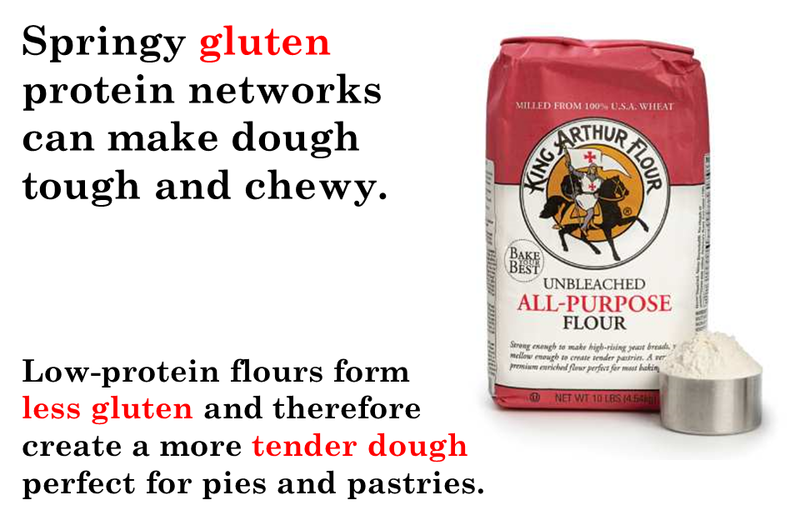 Increasing the flour content and using extra cold butter creates a drier dough that spreads less easily in the oven; adding baking powder to the dough lends extra fluffing power. The reduced moisture in this dough also limits gluten formation for a slightly softer (less chewy) cookie. Of course, this is barely the tip of the cookie engineering iceberg. There are so many ways to tweak a cookie recipe to achieve different textures. In addition to this brief introduction, the internet is full of great resources for cookie hacking. This particularly handy guide from Handle the Heat clearly show some of the ingredient manipulations described above. If you end up experimenting with your favorite cookie recipes, be sure to tell us about it in the comments below!